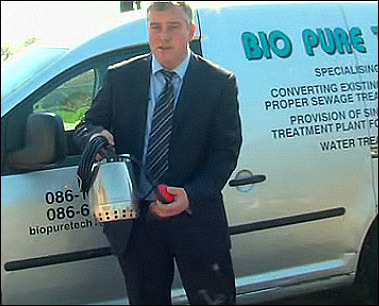 Bio Pure Tech will carry out a full health check of your existing septic tank. Give Brendan a call on 086 1520035 or fill in our enquiry form below and we will get back to you promptly. To date we have installed our award winning Bio Pure Sewage Treatment System for more than 2,000 satisfied customers around Ireland. Take a look at some of our work around the country on various commercial and domestic sites. If you would like more information about our services or have a question or problem regarding your septic tank, give us a call or use our Enquiry Form to send us a message, and we will gladly help.